Despite the mess it made of the Windows Phone 7 update, there is some good news for Microsoft on the horizon. The International Data Corporation (IDC) announced today that it believes the Windows Phone 7 could become the second most popular mobile OS worldwide by 2015, second only to Android. Seem like a bold prediction? That’s because it is. Microsoft still has a lot of balls up in the air with Windows Phone 7: The Nokia merger is still relatively fresh and flexible, the first crucial update was anything but smooth (hint: It’s not a good sign when a company apologizes for what should be a simple firmware upgrade), and we’ve still yet to hear any concrete sales (not shipment) numbers. That said, Windows Phone 7 is not a failure — and the IDC seems to believe that it will be able to displace some of its more veteran competitors in the next four years. 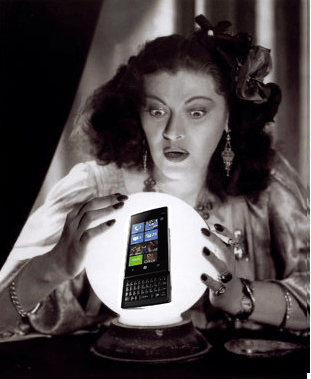 The forecast also claims that the Windows Phone platform will retain a 20.9-percent market share. The organization also seems to have quite a bit of confidence in the Nokia-Microsoft merger. “The new alliance brings together Nokia’s hardware capabilities and Windows Phone’s differentiated platform. We expect the first devices to launch in 2012.” The business deal between the two companies has been subjected to harsh criticism; its success has not been labeled a sure thing. But all skepticism aside, it’s an exciting notion. Seeing a new platform make its way to the top a la Android would mean new innovation from the Windows Phone and perhaps spur some creative competition from the likes of Apple and RIM. The phone had a rocky, yet promising start – and if it can pull this one out and become a true challenger, we’re all for it.